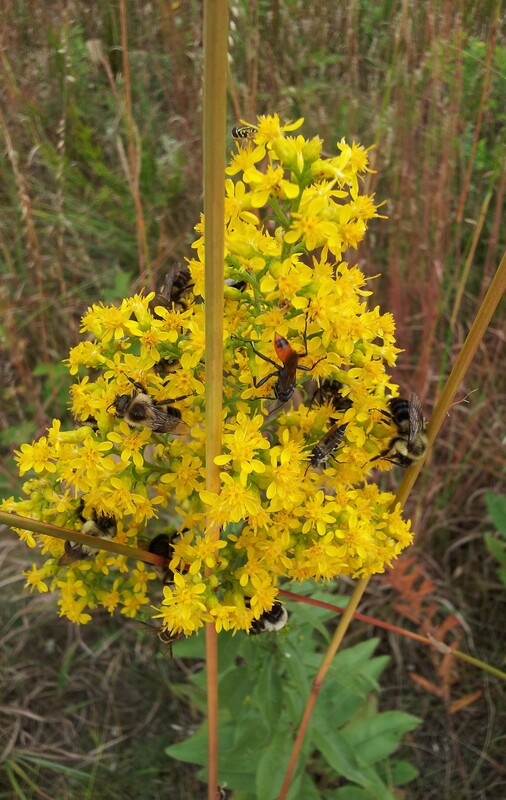 The Cedar Creek Ecosystem Science Reserve of the University of Minnesota has opportunities for students to work as plant community ecology interns and as research field supervisors. Most positions run from June through August, but some interns are needed as early as March and others are needed through October. Your educational institution may be able to approve this internship, with an appropriate independent project, for any field biology requirement of your major. As a research intern, you will contribute to ongoing field experiments, have the opportunity to initiate individual research, attend scientific seminars, and interact with professors, post-docs, and graduate students. If you are an undergraduate or a newly graduated student with a background or interest in biology, ecology, environmental science, botany, environmental education, or related field we encourage you to apply. Starting pay is $12.00 per hour depending on the position. Typical work days are eight hours Monday through Friday, however some projects require weekend, early morning, and evening work. On-site dormitory housing is available to rent for $7.00 per day. Most of the work you do will be out in the field, though a few jobs have indoor laboratory or computer components. TO LEARN MORE ABOUT CEDAR CREEK'S INTERNSHIP PROGRAM, CLICK HERE. We have three large scale projects and several smaller scale experiments that require most of our intern resources. BioCON is one of the large scale experiments where we explore the ways in which plant communities respond to environmental changes such as increased nitrogen deposition, increased atmospheric CO2, decreased biodiversity, altered precipitation patterns, and increased temperatures. 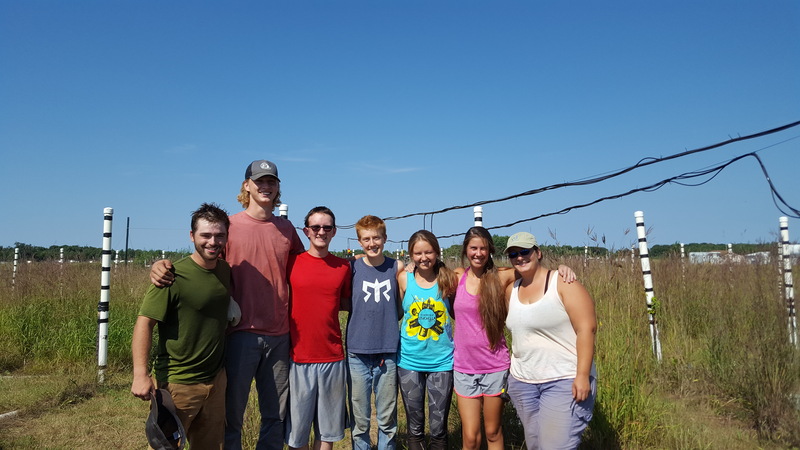 Another large scale project is the Big Biodiversity experiment that studies how plant diversity affects the rates, dynamics, and stability of ecological processes at the population, community, and ecosystem levels. Other experiments nested within the Big Biodiversity looks at factors such as irrigation and increased temperatures. The third large scale experiment, Forests and Biodiversity FAB, is looking at tree competition under different diversity levels. This experiment includes approximately 40,000 trees within a 30 acre field that will run for over 100 years. Throughout the summer we maintain and sample these experiments. As part of these positions you will have the opportunity to conduct your own research project with the guidance of a graduate student mentor. You can go through the entire research experience from writing a proposal to data collection to presenting your results at a symposium at CCESR. There will be workshops on different aspects of research. CCESR is an eight square mile tract of land 35 miles north of the Twin Cities. 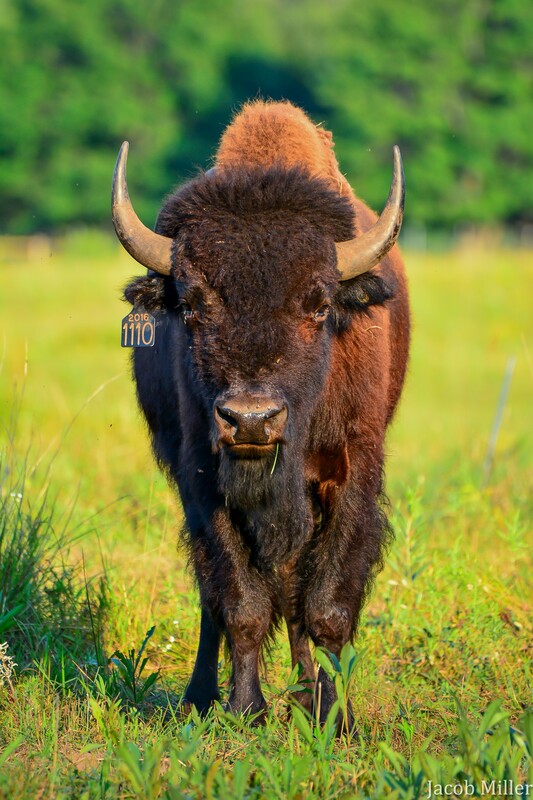 Cedar Creek is endowed with a diverse mosaic of prairie, savanna, sedge meadows, bogs, open water, forests, and even abandoned agricultural fields. Its large size, great natural diversity, and uniform soil substrate make it ideal for ecosystem studies. Strongly considering graduate school in an environmental field. Has completed at least Junior year in college. At least one lab or field internship experience outside of classroom activities. Please indicate on the application form if you want to be considered for the field research supervisor position as well as the internship. 1. Complete the application form at https://goo.gl/forms/o8dgl9yEui6PBSaY2. 2. Email the materials listed below together in one email to ccintern@umn.edu. 3. Have two references email in recommendation letters to ccintern@umn.edu. Please have them write your last name in the subject title for the email. The deadline for application submission is February 25th. We will accept applications after the deadline, but priority will be given to applications completed before February 25th. We encourage you to complete the application process earlier as we may be hiring some interns before the application deadline.